Your plan now requires a suite of options that are developed in consultation with stakeholders and a set of ‘SMART’ indicators that can be measured to signal when options should be implemented, and when funding is needed. Having identified a suite of adaptation options, you now need to select options to include in your plan, and discard those that may be maladaptive or which are not suitable for the purposes of your organisation and stakeholders. You can also identify options that will achieve short term as well as long term outcomes, and work on sequencing when these options should be implemented and identifying thresholds and trigger levels for implementing various actions. A range of tools are available to support selection of options. Having selected appropriate options, guidance is provided for preparing a plan that suits the purposes of the organisation and stakeholders and is most likely to get support in implementation. All actions should be accompanied by indicators which can be monitored to assess performance, once actions are implemented. We provide a series of questions to support self-evaluation of adaptation plans. put together a plan that contains a suite of options, and identifies thresholds at which options will be implemented. 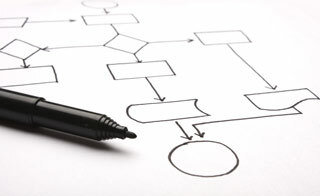 build a business case for implementing your plan or priority actions. In the previous step, you identified a suite of adaptation options that may be suitable for addressing the climate change risks faced by your organisation. In this step you need to investigate these selected options and determine which of them should be funded. In doing this you will examine each option to see if it can achieve the desired benefits as well as if it could become maladaptive when implemented. You can also determine which options, or part of an option, can be implemented given the funding currently available. Note that it is possible to stage the implementation of your selected option by developing a suite of ‘actions’—then you can sequence these actions by identifying thresholds that, when reached, should trigger the implementation of a particular action. After comparing different options and selecting those that will meet your decision criteria (e.g. reduce your risk, suit your available budget and level of community support, minimise unintended consequences etc.) you will be in a position to develop an adaptation plan and/or project proposal (business case). Such a plan will help you to develop effective strategies so that your selected options (or suite of staged actions) get funded and eventually implemented. To evaluate and compare adaptation options first involves establishing a list of criteria. Among many other factors, the choice of your decision criteria will partly be guided by information such as the level of risk that will be accepted by your organisation, stakeholders and community. Knowing the risks that your organisation and/or stakeholders and community are willing to bear is an important component of the process of assessing climate change adaptation options. Your organisation may have already defined what risks are acceptable or unacceptable in an organisational risk register or similar document. Although an organisational risk register tends to be broad in scope (i.e. not specific to climate change) it might provide you with a general understanding of the risk tolerance of your organisation. However, it is important to know why the risk register was developed initially, as these original objectives will have determined the register’s scope and detail. This can help you to determine whether this risk register is sufficient for your needs. Note that overarching organisation-level risk assessments tend to not have sufficient granularity for climate change adaptation decision-making, which means it is necessary to do a more detailed analysis at your scale of interest. for regulatory reasons or as part of a government funded program. If climate change-relevant risks have been identified in the existing risk register, you should (as much as possible) use these risks to underpin selection of options. If not, you should seek to understand the level of risk that is acceptable to your organisation. For example, an organisation may be quite comfortable operating with a risk of 1 in 100 years flooding of its premises, but will invest in flood risk reduction if the risk increases to a greater frequency of flooding. On the other hand, another organisation might calculate that the losses resulting from a 1 in 100 years flood are significant for their operation and may wish to reduce that risk to a probability of 1 in 1000 years by investing in adaptation options (see Box 1 for a case study). Brisbane Airport Corporation has planned to ensure the long-term viability of its second runway by designing it to be 1.8 m above the regularity requirements (Figure 1). They also implemented other options to reduce flood risk and storm surge. See our snapshot on Brisbane airport’s new runway. Figure 1: Picture of Brisbane Airport second runway under construction. New Parallel Runway site Jan 2015 – 11 million mᶾ of sand placed to flood and climate proof the new runway. Photo: © Brisbane Airport Australia. The degree to which you need to address climate change risk depends on your exposure to current and future climate risks, and on the amount of risk your organisation, stakeholders and community are willing to accept. As discussed in the identify options section (Step 3), your options can include ‘do nothing right now’ and ‘let nature take its course’. This is an action, and if it is considered and adopted, it should be well documented. We recommend that the minimum action should be a documentation of the process through which the decision was made not to act now, including the rationale for the decision. This document should also outline a process to indicate what will be required to prompt action in future (e.g. trigger events, new information) and how these would be determined and measured. How little or how much do I need to do now? The extent to which you need to act now will depend on the risk to your organisation, and its stakeholders, from existing and future climate as well as the amount of risk (financial, legal etc.) your organisation and community are willing to accept. You may find that in the near-term there is little benefit from implementing an adaptation option immediately. However, as climate changes and impacts reach a particular level (i.e. a certain increase in sea level) it becomes necessary to implement adaptation options. In assessing options you are able to determine the level of required funding and the type and timing of effective stakeholder engagement needed to get a social licence to implement the actions. You can then determine trigger levels or thresholds that can be tracked (monitored), and that when reached, will indicate the need to start engaging and building to implementation (see information on Monitoring and evaluation and Identifying indicators). It is important that climate risk and options are considered, and that a decision is made not to implement any actions until a particular threshold or set of thresholds are reached that will trigger actions. The plan would include a process by which the decision would be made (e.g. by council, board, management). At this stage, it is important to discuss and finalise decision criteria that will be used in the process of evaluating options. These criteria can be selected in a variety of ways. They can be unilateral decisions made by a single person, by a committee, or through wide engagement with internal and external stakeholders. The selection of the approach will largely be determined by the suitability of the approach for your organisation and the extent of time and resource available for this purpose. Whichever approach is adopted, it is important to bear in mind that the rationale for selecting that approach should be well documented. In general, selected decision criteria will reflect the values of the organisation or stakeholders involved. Values can be shared or individual, and are likely to be quite diverse (social, cultural, economic, and ecological). Therefore, often it can be challenging to integrate these diverse set of values into a decision process (for more details on understanding your information need for option evaluation see Information Manual 4: Costs and benefits (Section 2)). benefits across different time scales— are there immediate as well as long-term benefits? potential of co-benefits derived from the option (including opportunities)—will the option achieve outcomes in other areas apart from climate change (e.g. improving community and ecosystem health, providing opportunities for business)? impacts on greenhouse gas emissions—will the option increase emissions, and thereby have a long-term negative impact? Not all options need to be assessed through a comprehensive evaluation. Certain options may be easy to reject through an initial screening approach because they contravene certain requirements. An initial screening approach can be done by asking a series of questions about each option. There are no clear cut reasons for accepting or rejecting options. However, as a rule the following questions can be used for initial screening of options. Does the option contravene local, state or Commonwealth legislation or policies? If it does the option may be rejected, but can be revisited at a later stage if the legislation or policy is altered. Occasionally it might be necessary to lobby for changes to legislation and policies. Are stakeholders likely to be negatively affected if the option is implemented? If so how many, when, where? Could stakeholders perceive they may be negatively affected – could they misunderstand the option if it isn’t communicated clearly or at the right time? Is the option likely to be effective in addressing the climate change impact being considered? Would the option cut other options off in the future? Are there any obvious impacts of the option on other things that are important to the organisation or its stakeholders? What is the lifespan of the option? Does it match your business planning horizon? Are there other co-benefits that can be obtained if the option is selected? Is the option able to reduce the risk to a level which will be considered as acceptable by your organisation? While screening through the list of options, you may wish to work with the community, through relevant existing community groups or sectors and other stakeholders. This can help to prevent discontent, and build support for adaptation plans which may contain seemingly controversial actions. See Box 2 for an example of collaboration. Sydney Coastal Councils Group undertook a project to explore prioritisation of adaption options in response to coastal inundation and erosion. It brought together information on exposure and risk, feasible adaptation strategies and the multiple values that influence local government decision-making, including governance, economic, social and environmental. Read the case study on The Sydney Coastal Councils Group experience to see how this group used a collaborative, cost effective approach to gather data and information to support their member councils to prepare adaptation plans. At this stage, you have short-listed a series of options that are generally acceptable to your organisation and to its stakeholders and the community. It is now important to consider which of these options best suits your adopted decision criteria (i.e. cost effective, maximise benefits to your organisation, minimise impact on other sectors etc.). There is a range of methods that can be used for such a comparison. These methods include cost-benefit analysis, cost-effectiveness analysis, cost-minimisation and multi-criteria analysis, just to name a few. There exist many guides and tools for these methods but they often require significant expertise to be able to conduct them appropriately and therefore may need to be outsourced. We provide an Information Manual 4: Costs and benefits that provides advice on deciding when, why and how to assess the costs and benefits of adaptation options. It is important to know the strengths and weaknesses associated with the various methods as well as any assumptions that need to be made. It is also important that you are aware of any methods that need to be followed to be consistent with government requirements in your jurisdiction. There are tools that have been developed and used to understand implications of and interactions between different management options. Such tools can also determine where unintended consequences may arise. In CoastAdapt we provide a searchable list in the Catalogue of adaptation support tools which shows tools that can be useful in this step of C-CADS. In selecting decision criteria for assessing adaptation options, it is important to consider social and environmental factors as well as standard economic factors. Some of the methods to assess your options considering environmental and socio-cultural values are discussed in Section 3 of Information Manual 4: Costs and benefits. Implementation of these assessments depends largely on the methods chosen for comparison, options that are included for comparison, and decision criteria that are finalised for the analysis. It can be done through one process, or a combination of processes, including participatory approaches (to understand community preference and priorities), and scenario generation and modelling (to understand how an option may perform when implemented), just to name a few. It is important that you continue to involve stakeholders and community throughout this stage. This can be ensured by identifying your stakeholder engagement strategy at the outset of your plan development cycle. Apart from engaging with the wider community you should also consider how you will work with advisory committees and other formal groups that may have been established for climate change adaptation, as well as with any existing committee in your organisation. There is always a risk that if the community or relevant other stakeholders are not effectively engaged then they will not accept the adaptation plan (making it hard to implement) and/or that options may have unacceptable or adverse consequences for some groups or areas. Note that there is a high degree of uncertainty associated with climate change adaptation decision making. Some of these uncertainties are associated with human decision-making and behaviours including the extent to which greenhouse gas emissions may reduce in future (i.e. which emission scenario may unfold in future), the associated projections of climate change and its related impacts (i.e. how changes in emissions may interact with climate systems and result in impacts), and socio-economic changes that may take place around the world in future. There are also uncertainties about what new approaches and technologies may be developed in future to assist with adapting to climate change, and the costs and acceptability of these to communities. 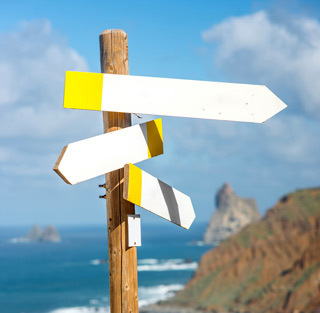 A variety of tools and approaches are available to help with decision-making under uncertainty. Some of these tools and approaches include Valuation and Applying a pathways approach. These tools and approaches can help you to consider different uncertainties and subsequently decide when you need to act (i.e. implement a given option). Making decisions using these tools and approaches can reduce the need to invest in potentially costly actions until they are absolutely necessary (for more detailed information on these tools and approaches please see Information Manual 4: Costs and benefits). Once you have evaluated your shortlist of options and identified the ones that meet your decision criteria and should be incorporated into your management plan, you are now in a position to prioritise and sequence actions to implement your selected option. Sequences of actions should be combined with a series of triggers or thresholds (see Box 3 for definitions) which help you identify when a particular action should be implemented. The timing of actions must consider the minimum time required for any necessary consultation and engagement that need to take place beforehand, and also the time required for making financial arrangements such as obtaining funding. There are two types of threshold to be considered. Thresholds of the system you are managing. An example of this type of threshold is the ability of a plant or animal species to survive in its current range. These are commonly referred to as ‘tipping points’. Thresholds of the adaptation options being considered. 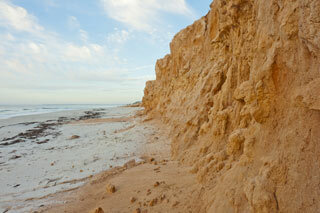 An example is the consideration of the construction of a seawall to protect assets at risk. The threshold is the point at which this seawall will be overtopped by rising seas. This information on triggers and thresholds helps you to sequence your adaptation actions and to develop a staged approach to implementing selected options. Sequences are often known as adaptation pathways. Essentially adaptation pathways are decision support strategies that make up a series of manageable steps. Each step is triggered by a change in predefined criteria (i.e. increase in sea level, increase in disaster loss, increase in loss of working days, increase in erosion etc.) which are monitored over time. Sequences are often represented in a way which shows the pathways by which particular actions are triggered. Actions can be adjusted if circumstances change. CoastAdapt provides guidance on understanding a Pathways approach. As already mentioned, for your selected adaptation option you need to think about the lead-time needed to implement it; such as time required for consultation and making financial arrangements. As an example, if your adaptation option requires construction of major infrastructure, then it will need time for design and building. It may also need time for community consultation or acceptance as well as arranging funds to rollout the project. Therefore, it requires a lead-time of many months (years) before it will be performing its role. Therefore, understanding the thresholds and lead-times for adaptation options will help you identify decision points. It is important to bear in mind that a decision point may occur before a threshold is reached in order to allow lead-time to implement the adaptation option. CoastAdapt provides a worked example in Applying a pathways approach. Once you have identified and mapped out your options and determined suitable thresholds and trigger points for actions that underpin your selected options, you are in a position to organise the information you have gathered into a plan. Ideally the plan will be an important resource for your organisation as it will drive change, help liaise across different organisation groups, influence and inform stakeholders outside your organisation, and will underpin approaches to seek funding for action. Your plan will form the basis of monitoring and evaluation activities, including monitoring of thresholds that trigger actions, and tracking the performance of adaptation actions. It is important that your plan fits the purpose of your organisation, and is presented in ways that are accessible to those responsible for funding, implementation, engagement and communication. Identifying the audience and overarching objective you hope to achieve from the plan. You considered this in Step 1 of the planning process. Outline a vision for the plan. A vision is important because it presents a high level aspiration of what your organisation and its stakeholders hope to achieve from the plan— it establishes a touchstone for stakeholders and for the organisation. In some areas/businesses, plans will cross organisational and other boundaries and the vision can help to build the support needed to implement your plan. The vision and importance of the plan can be emphasised by including a message from the head of the organisation to display intent and leadership. Establish clear goals and objectives. Goals and objectives will help to achieve the vision. Each goal will be supported by one or more objectives. It is important that goals and objectives are clear, unambiguous and measurable. This enables them to be aligned with performance indicators and for progress to be assessed and reported through a monitoring and evaluation program. Outline the framing, scope and geographical scale of the plan. Your plan should clearly articulate its scope and geographical coverage; include important aspects such as jurisdictional boundaries. This is particularly important if the plan covers areas which cross boundaries, and more than one organisation needs to be involved. It is also important because plans can be developed for a small focussed area such as a single beach, or for a large geographic area such as a long coastline incorporating several local government areas. Articulate the process taken to develop the plan. This is important because readers and users of the plan need to know why the plan was developed, what steps were involved, what scientific and other information was used in its development, and what climate change scenarios were used to understand risk and identify options. This establishes the credibility of the plan and will also help you, or others, to update the plan at a later stage. Outline the vulnerabilities, risks (threats and opportunities) and priority issues identified. The plan should provide sufficient information about the vulnerabilities and risks that have been identified and the process and rationale by which priorities were determined. This is important as these may change over time as more information becomes available, and your plan will provide a record of approaches used at a particular time, with a rationale. Outline proposed responses (selected options) and your sequencing/adaptation pathway. Your plan should indicate the approach you are taking to sequence actions and what trigger and decision points will be used. This component of your plan should link to the monitoring and evaluation component of the plan. There are different ways in which pathways can be represented (see Pathways approach). Outline summary costs and benefits (including co-benefits). This helps stakeholder who may not have been involved to understand the process used for prioritisation. It is a useful resource for engaging with the community. interaction between the action and other actions or outcomes. Partnerships and opportunities. Adaptation can be challenging and often costly. Implementing actions can be supported by developing partnerships with other groups to share resources, and garner the necessary support. This may include working with community groups and other organisations that share supply chains or are affected by the same climate challenges. Stakeholder engagement plan. Adaptation is complex and challenging to many stakeholders. It is important that stakeholders are engaged throughout the adaptation process and particularly before, during, and following implementation of actions. Some prioritised actions may be controversial and might need long lead-times to enable effective stakeholder engagement. The adaptation plan will benefit from recognising the engagement challenge and by including a specific component or sub-plan with an adaptive engagement strategy, including performance indicators. Guidance on engagement can be obtained from Information Manual 9: Community Engagement. Regular evaluation and updating of your adaptation plan. In addition to trigger levels and thresholds, your plan should include an agreed process and time frames for when to update the plan. This will ensure that there is due consideration of new data, that risk assessments are updated, and that new innovative mechanisms and approaches to adaptation can be incorporated. By following the guidance in the previous steps of C-CADS, you will have considered issues such as leadership and internal and external engagement, which hopefully has resulted in firm organisational support for implementing an adaptation plan. You will also have identified barriers at an early stage and hopefully will have taken steps to overcome them. In developing your plan, you should revisit Barriers to adaptation to consider barriers that are specific to your situation/organisation, and put actions in place to overcome them. The process of developing the adaptation plan, and the mechanisms suggested for delivery should help to identify barriers and ways to overcome them. For example, if leadership within your organisation is considered to be a barrier, then you should consider how best to engage with senior managers and inspire leadership. To help you with this, CoastAdapt includes a guideline on Getting organisational buy-in. This can include identification of a proactive councillor, board member or high level manager who can act as a champion for the adaptation activity within your organisation. It can also include understanding the power structure as well as mechanisms for internal engagement within your organisation. It can also include other leaders in your organisations such as the senior managers of key groups or even just ‘ideas’ people who may not have formal role in leadership but who tend to have influence over others in the organisation (e.g. communication officers, policy officers, librarians, or personal or executive assistants). Table 1 shows different types of barriers that you may face while implementing an adaptation plan. CoastAdapt contains content (see the list and their links below) that discusses these in further detail and can help you to understand ways to overcome them. Additionally, NCCARF has produced several case studies of good practice in adaptation which identified critical success factors that led to the success of the project. These case studies illustrate how factors such as leadership, ensuring internal and external connectivity and partnerships, and taking an adaptive approach can support achievement of desired outcomes. Table 1. Different barriers to climate change adaptation and links to information within CoastAdapt to help enable adaptation. An important component of any adaptation plan is to be able to report on what has happened as a result of the action and whether the desired outcomes have been achieved. This supports the needs of high level decision makers such as boards and councils who want to know if funds have been expended wisely. It is also important to be able to consider whether the actions have been appropriate and if any changes are required to ensure outcomes will be achieved. It is important to select the right indicators to support your assessment. Indicators should be selected which are SMART (Allen et al. 2012). SMART indicators are Simple, Measureable, Action-oriented, Repeatable, Relevant and Timely. Simple – Indicators need to be easily understood and meaningful for those who seek to use the information they provide. There is little point in collecting complex information if there is no capacity to analyse it or no intent to use it in the review of adaptation plans. Measurable – Indicators should be measurable, with consideration given to the repeatability of assessment, the precision required for measurement, and the resources (funding, time) needed for measurement. Action-oriented – Users should consider how measurement information is likely to be used, and adjust the scope of monitoring appropriately. Additional depth and scope of measurement may be useful where there are management sensitivities. 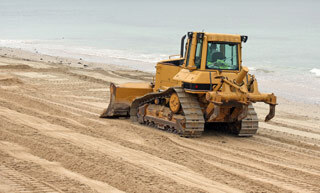 For example, a local council making decisions about a beach nourishment program may consider the level of beach usage as well as business activity in beach-side areas. In this situation, it may be necessary to monitor visitor numbers at different times of the year and related business activity as well as monitoring changes in the amount of sand dune erosion. Repeatable – Indicators should be framed in a way that enables comparison over time. Where appropriate, indicators should be similar to what others use in similar contexts to enable comparison, e.g. carbon emissions per GDP is used as part of climate negotiations. Relevant – Indicators and associated measures need to be relevant to the adaptation strategies at hand. They also need to adequately reflect progress towards desired long- term outcomes. Timely – Indicators need to be sensitive to time-related factors. For example, some variables are slow to show a trend and highly variable across years (e.g. climate), meaning that progress towards outcomes can be difficult to assess over the short term. In these situations, it is helpful to identify intermediate outcomes that lead towards longer-term outcomes. Indicators will include output and outcome indicators, enabling implementers to report on the completion of identified activities and to determine whether the objectives of activities have been achieved. You should select indicators that are appropriate for each action and include these in the plan. Monitoring is often expensive and neglected, so including indicators at the planning stage will help you to determine what resources are needed for monitoring. You may be able to collaborate with other groups to share monitoring costs, and you can work with community organisations and others to conduct citizen science programs. It is essential that monitoring programs are well designed and reporting processes are included in your adaptation plan. Mainstreaming is when climate adaptation planning and implementation are not covered in a dedicated adaptation plan, but are integrated into existing policies, plans and procedures of your organisation. This means that many actions may be connected to existing funding sources, and that the actions themselves are not likely to conflict with other actions that are not climate change adaptation related. There is also the potential for synergy with other actions and for multiple benefits to be achieved. It also helps to give a message to stakeholders that climate pressures are something that can be managed by the organisation alongside other issues. Mainstreaming in the long term will be important but there is a risk that, if mainstreaming occurs too early, climate-related risks will be downplayed and the capacity to address these issues will be lost. Having a stand-alone adaptation plan enables you to take a pathways approach and enables specific monitoring and evaluation activities to be implemented that enable sequencing to occur. It also ensures that responsibilities for implementation can be clarified. Additionally, many adaptation options identified will be new and need to be tested. They cannot automatically be part of a mainstreamed approach as this might mean they may not be evaluated effectively. An additional challenge for mainstreaming is to ensure that the timeframes of plans and strategies are consistent with those required for effective climate adaptation. As your organisation and stakeholders develop, it is possible to move to mainstreaming, but it remains important that the thresholds and triggers for action are monitored and used to stimulate actions or changes to actions as required. Including such aspects may require other plans to be changed. In Step 1, you produced a case for your organisation to enable you to develop a plan and also engaged internally to ensure that you have the necessary managerial and sectoral support. In addition you have engaged with stakeholders throughout the planning process. 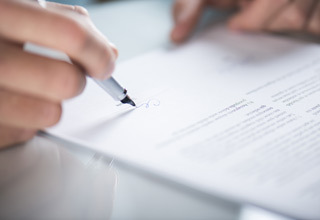 It is good practice to get sign-off of your plan or proposal at the highest level possible to ensure ownership of the document and its associated approach and actions. This can help to ensure that resources are committed and that there is the necessary leadership required to drive implementation. Whether seeking endorsement of your plan and associated support to implement it, or seeking funding to implement a detailed option, it is necessary to prepare a business case. Preparing a business case for adaptation can be challenging because outcomes may not be achieved for long periods of time, and there are often complex non-monetary benefits. There are seven key elements identified through a review of business cases for adaptation (Hales et al. 2016). Mounting a business case for climate change is primarily motivated by risks (and associated economic costs) that have been identified in the present governance systems of the organisation. Integration of the business case for climate change adaptation into overall business decision-frameworks is an important element in mounting a business case. For example, a strong business case for climate change adaptation is associated with the presence of sustainability systems and practices in an organisation. Developing shared values for adaptation with stakeholders including the wider community is an important element for both local government and private enterprise. Identification of adaptation pathways – future options for action are identified. Use of collaborative approaches to formulate and obtain buy-in for the business case. Planned monitoring of adaptation outcomes. Planning for infrastructure for the short- and long-term. The use of extreme events as a critical moment to propose the business case. Leadership from within the organisation and external to the organisation is important to progress the business case through the organisations decision making process. The use of visuals and local context is important to demonstrate the need for adaptation measures. It is important to ensure long term commitment for key positions responsible for climate change adaptation in order to seize opportunities and initiate a proposal. Long term commitment is also important in the implementation of the business case because of the inherent long term nature of climate change. The staged implementation of projects aligned to the business case appears to lead to greater success. Providing only relevant climate impacts on the business is important and thus any irrelevant information outside the organisation's scope of operation should not be included. Identifying key climate and weather risks as opportunities for the organisation and demonstrating business relevance will increase the justification for the business case. The linkage of climate change adaptation measures with climate change mitigation appears to be important in the justification of the business case. Engagement with other organisational commitments (e.g. voluntary environmental or carbon initiatives) and the stakeholders involved with these commitments is important. To help with preparation of a streamlined, targeted business case, use the template provided here. In developing your plan, you will have learned a substantial amount, and heard from a variety of stakeholders. It is also possible that technology will change, new adaptation approaches will become available, or that knowledge changes. It is important to review your progress to date and assess your draft plan against your risk assessments and approaches for option identification and prioritisation. Have you determined the level of acceptable risk for your organisation and stakeholders? Have you identified the criteria, and the method that you and your organisation will use to evaluate options? Have you assessed the options and determined which are the best for the purposes of your organisation, stakeholders and community? Have you prioritised options and identified thresholds and trigger points at which actions should be implemented? Have you considered the full expenditure profile of your decision over time, including initial capital investment, maintenance, and repair? Are potential damage costs from climate events factored in? Have you considered the effective lifetime of your chosen adaptation option and tested whether the option is robust to projected climate change (as described on the Climate Change in Australia website) and attendant risks throughout its effective lifetime? Will implementation of your selected adaptation option allow you to keep your future options open (i.e. is it a low-regrets option - not committing to something that cannot be changed or built on in future if required)? Have you prepared an adaptation plan that fits the purpose of your organisation and community and clearly articulates actions and outcomes? Have you identified clear measureable objectives relating to your actions, and suitable performance indicators for each action? Can adaptation performance measurement be linked to other monitoring or measurement activities to reduce costs? Have you developed a business case for implementing your plan, or for implementing priority actions within your plan? Business Plan for action in place.